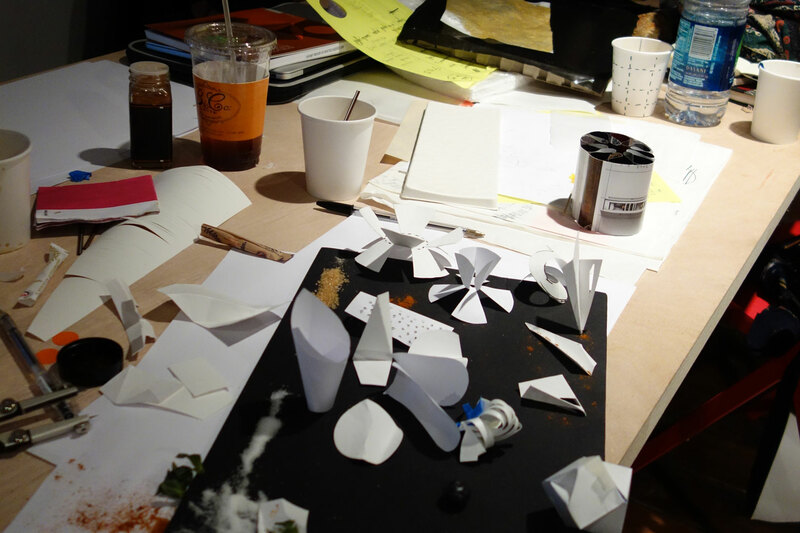 We’ve had paper on the brain all month during our exploration of Paper in a Digital Age, so we had to check out the results of this weekend-long workshop, which was led by Associate Professors of Environmental Design from the Art Center College of Design Penny Herscovitch & Dan Gottlieb and had students from five international design schools participating (Art Center College of Design from Pasadena; Tama Art University from Tokyo; Centro from Mexico City; ENSAAMA and ENSCI les ateliers from Paris). 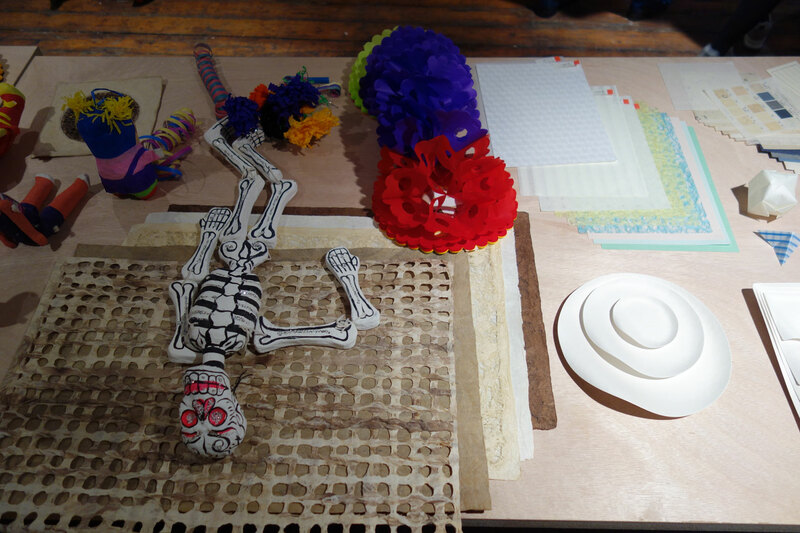 Students drafted, reworked, prototyped and tested designs all in the course of three and a half days, finding new ways to use paper in the context of lighting, furnishings, home goods, spaces, fashion, and a host of other creative applications. 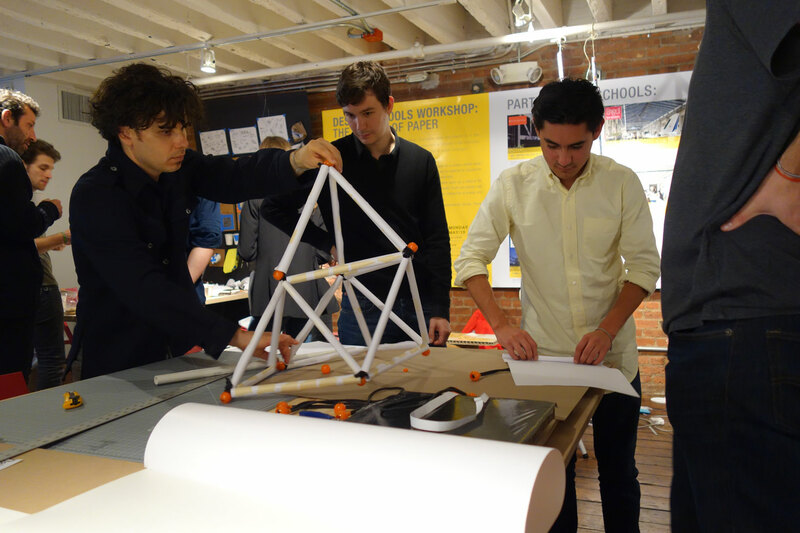 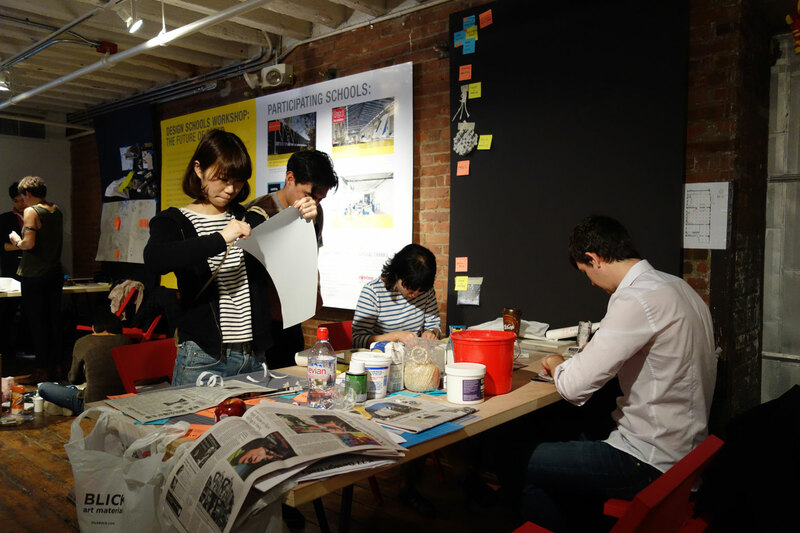 Throughout the process, students were encouraged to rethink the way that paper can be used, transforming it from the passive vessel it usually becomes into an active source of energy itself. 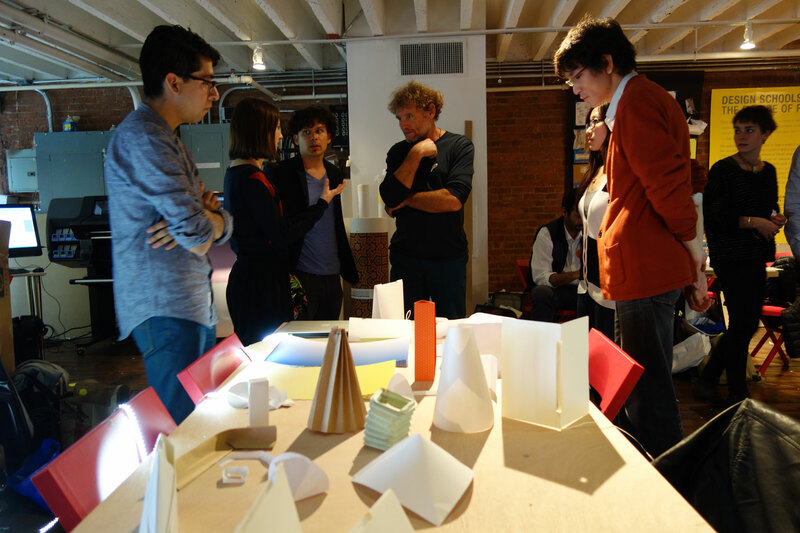 As WantedDesign came to a close yesterday, the final presentations were made and evaluated by a jury committee that gave feedback and assessed the marketability of each group’s design. 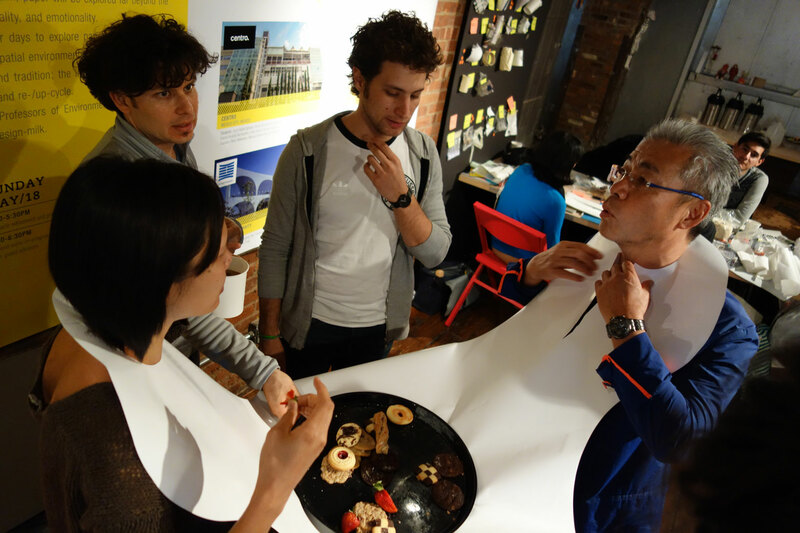 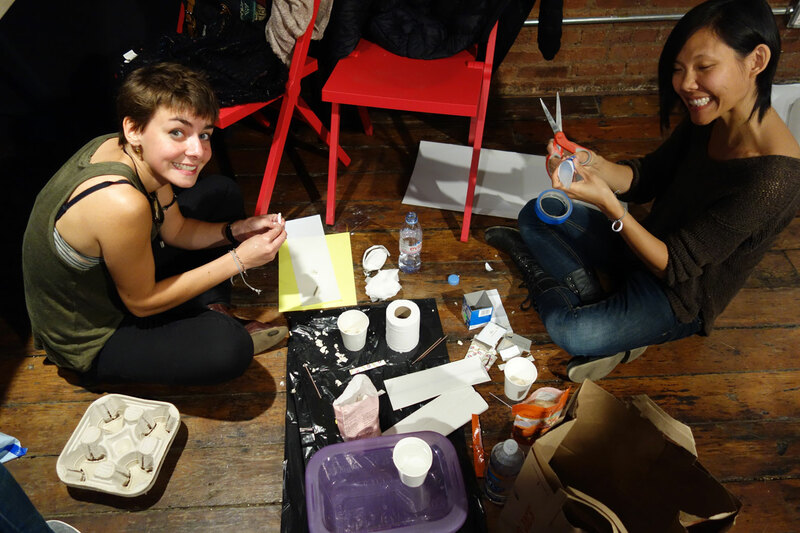 The first group’s project was called “Eat Me!” and aimed to answer the question “What is the disposable becomes consumable?” in the context of food. 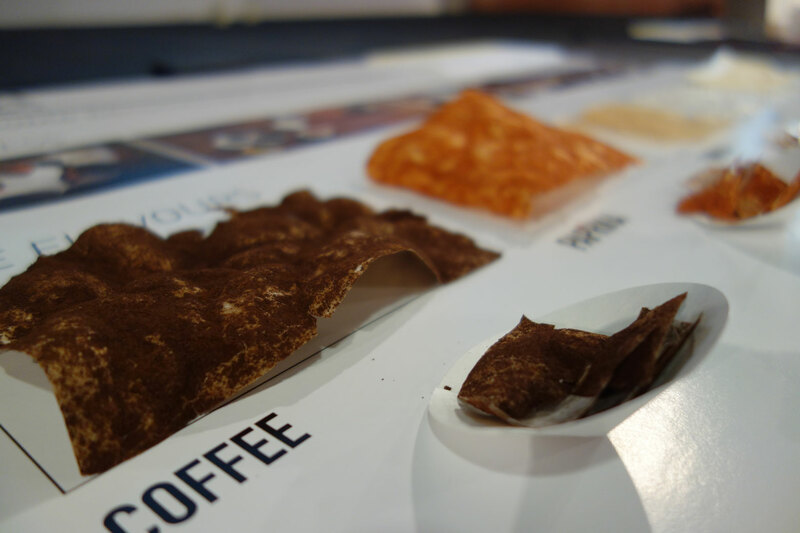 The students used paper to created edible shapes that represented sweet, salty, fresh and spicy, and even offered vanilla, sugar, coffee, paprika-flavored papers to the jury committee. 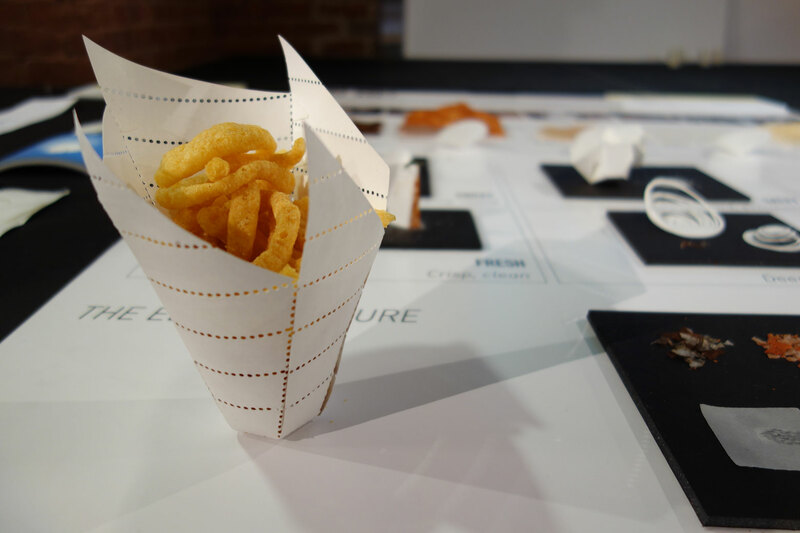 Their designs incorporate paper into the eating process, making it more than just a container. 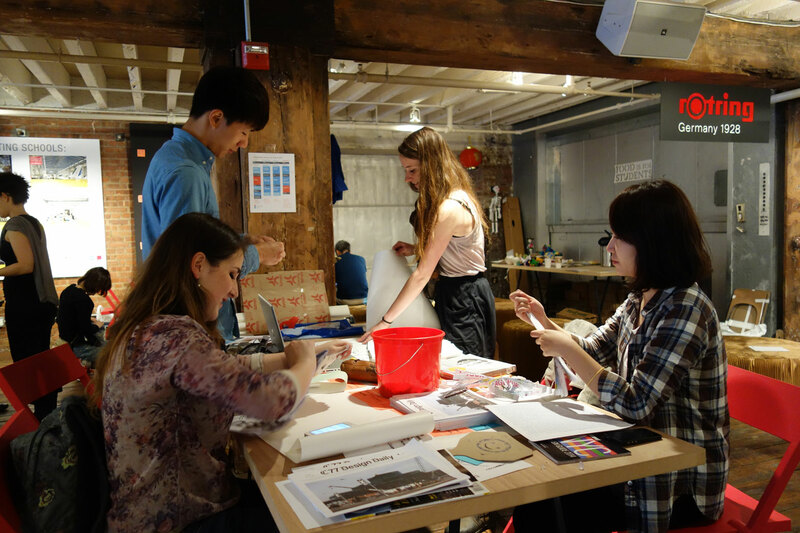 The next group presented a design titled “Home Factory” which combines paper upcycling and the recent trend of personal fabrication to connect people with the recycling process, which they never usually see. 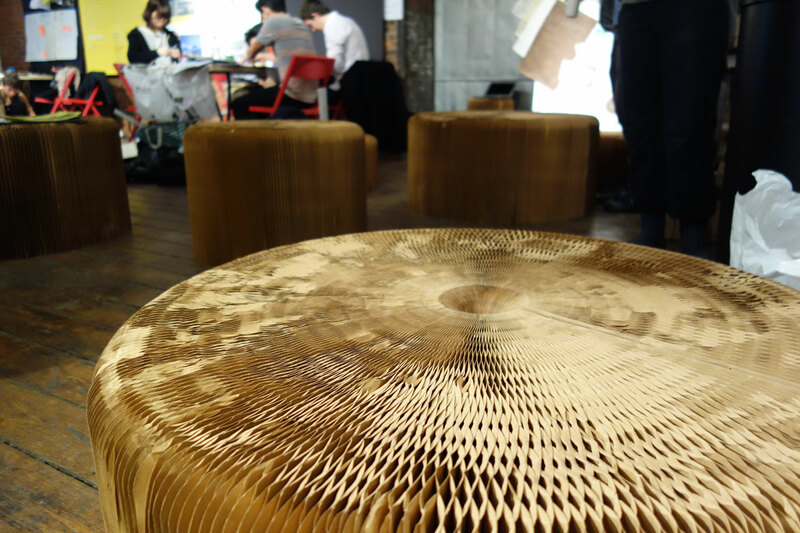 The structure is used to recycle paper in the home, decreasing the carbon foot-print of the process and creating a sturdy material that can be used for an infinite variety of possibilities. 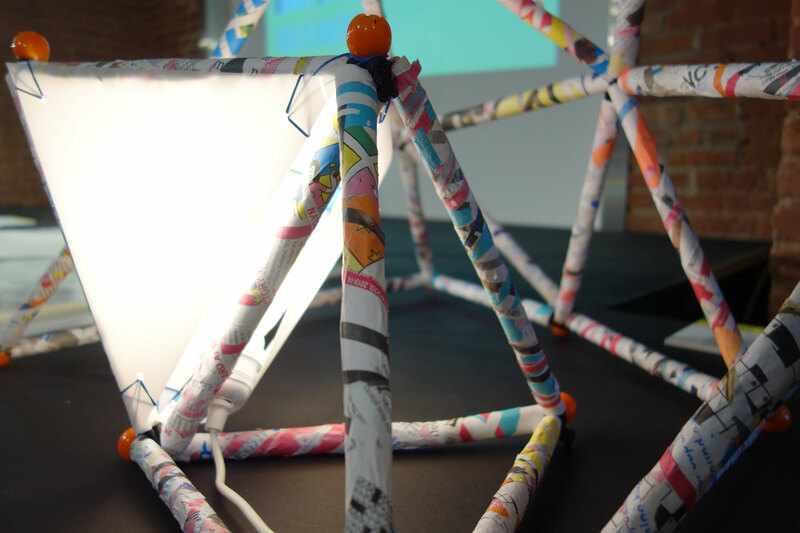 Children are the target users for the machine, which extrudes colored paper tubes using flour and water and can serve as a lesson in production. 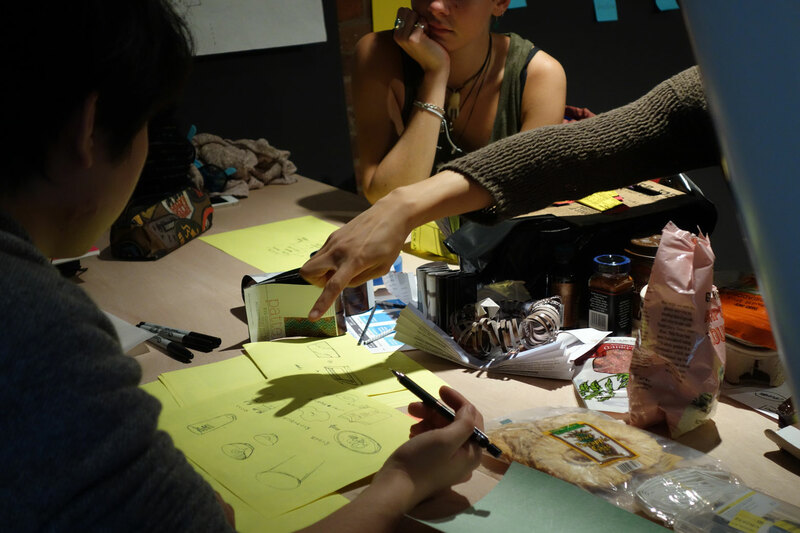 The next presentation focused not on children, but on working adults. 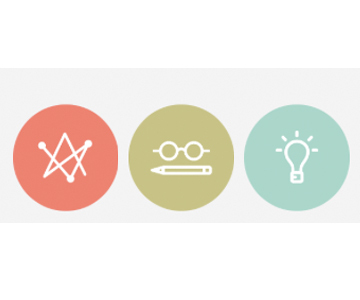 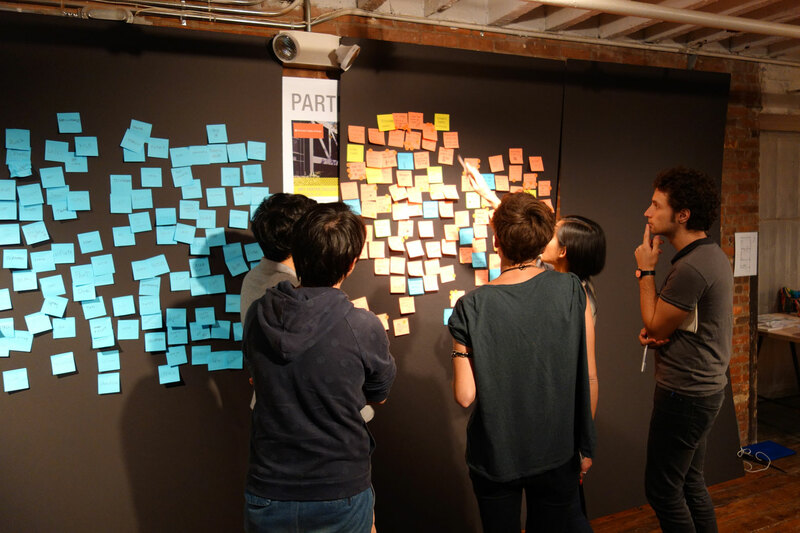 Students created “NOMAD” as a response to their own questions about how paper can still be connected to emotions and ideas now that it is no longer the only source on which to record them. 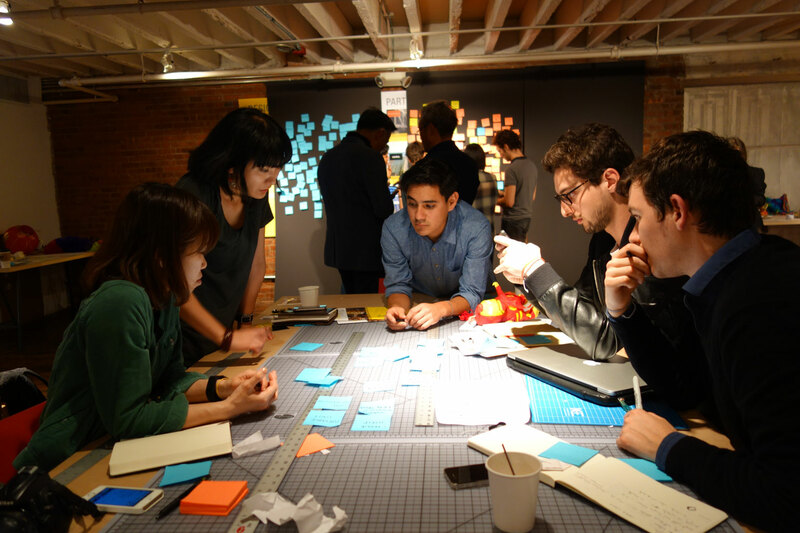 They decided to focus on paper’s lightness, versatility and foldability to create a lighted up, mobile divider that recreates the office environment and improves focus. 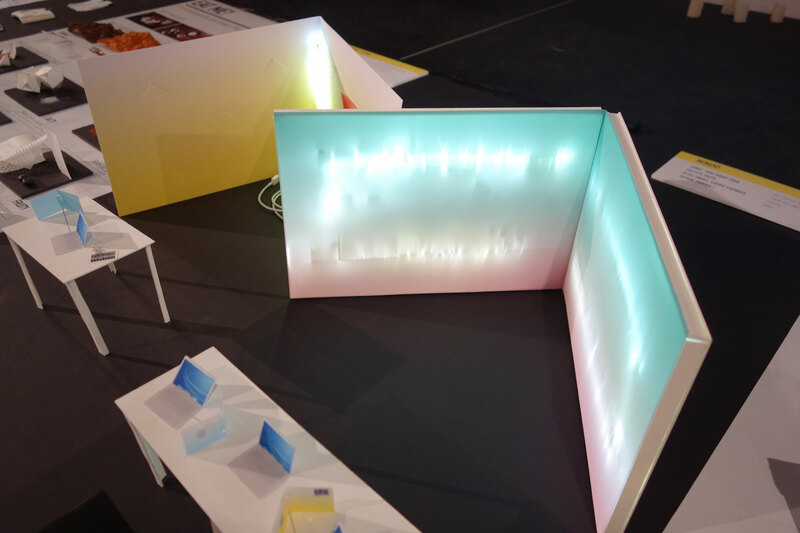 Using LED patterns and making the models individually adaptable, NOMAD demonstrates the power of paper in setting a mood. 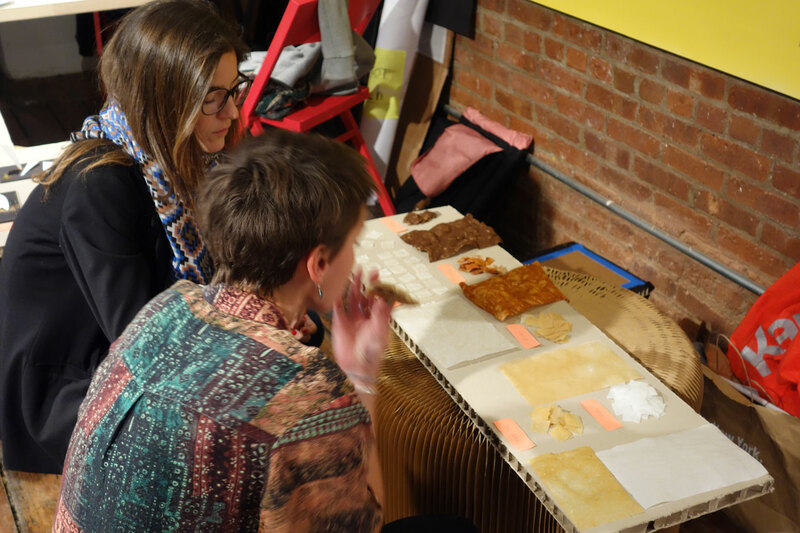 The next student group presented their prototype for a design called “Bag in a bag,” which plays off the soft and hard qualities of paper as a material to change the perception of paper molding. 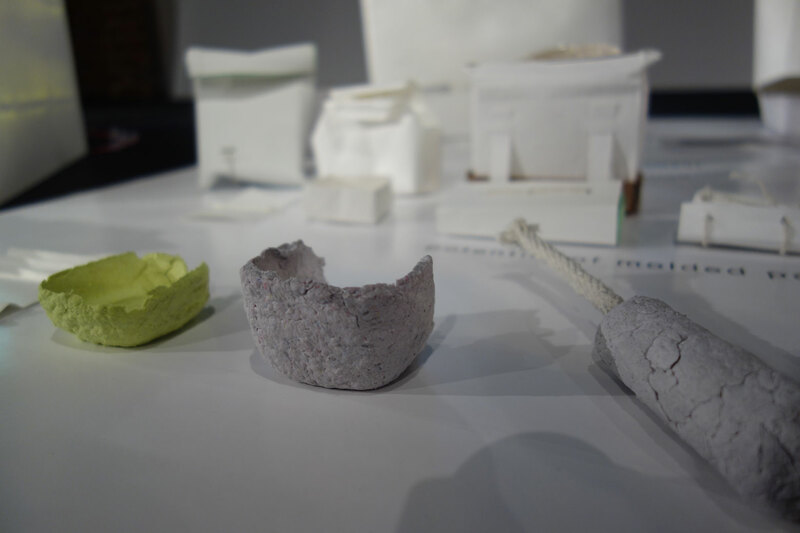 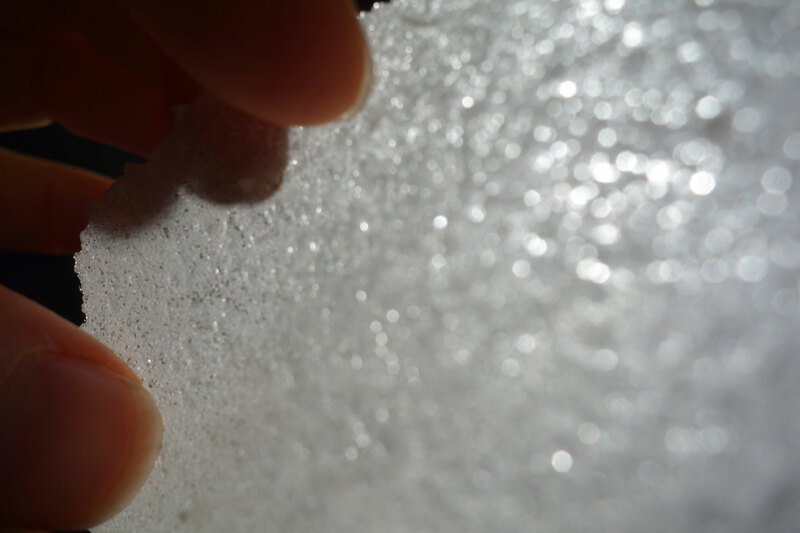 Employing a process which blends paper scraps with sugar and starch, they were able to create a plastic-like mold that is stronger than existing products such as egg cartons. 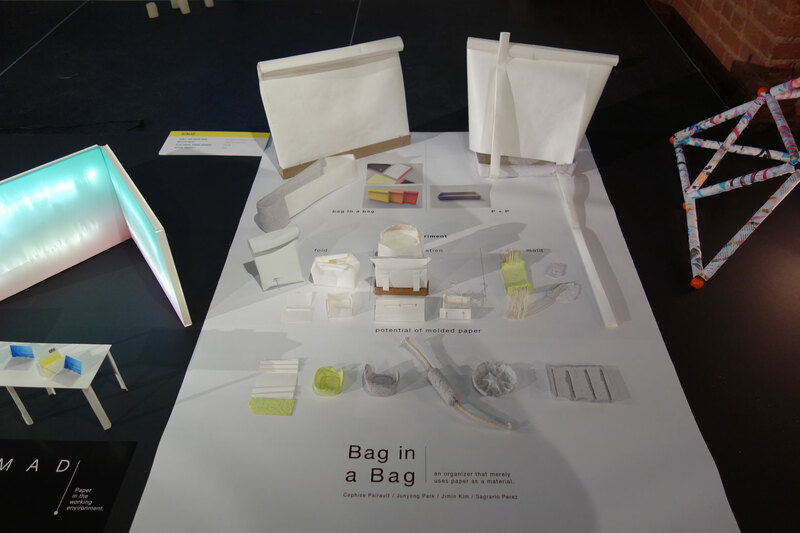 This mold can be turned into bags, folders and other containers useful for storing not only other paper material, but electronic equipment as well. 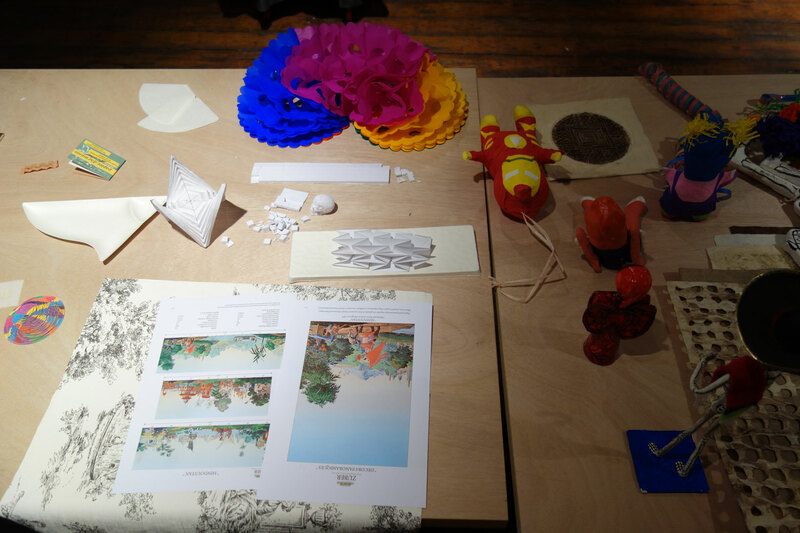 The last presentation titled “Illuminate/Reveal/Conceal” aimed to include people in the design of the things that surround them. 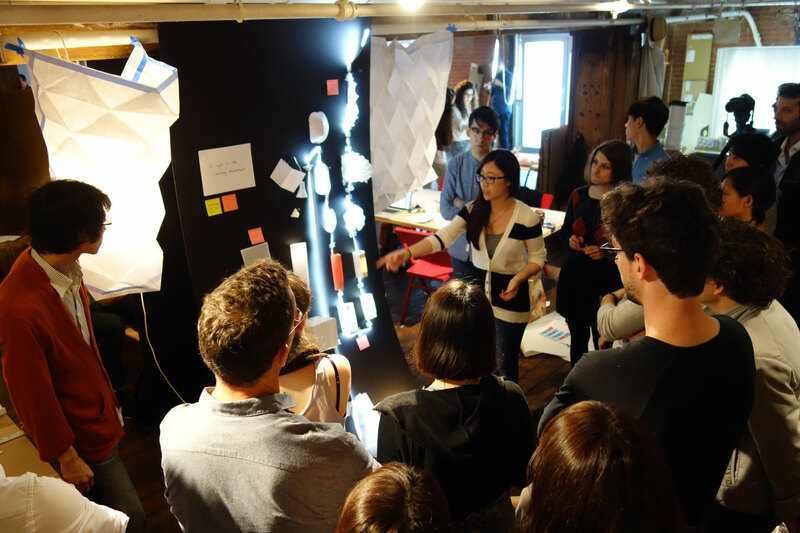 Accepting the ephemeral quality of paper and emulating the layer effect seen in plants and vegetables, these students designed a series of lights that can be individually designed using patterned tears, becoming a reflection of the owner and of time passing. 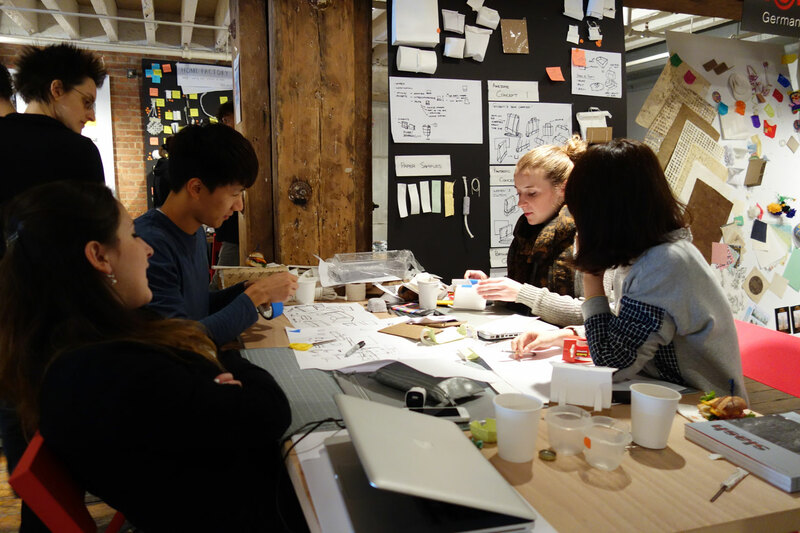 The jury committee did not choose a winning group, instead giving each project a different titles such as “Most Possibilities” and “Fastest to Market” and praising the students’ cross-disciplinary and cross-linguistic collaboration. 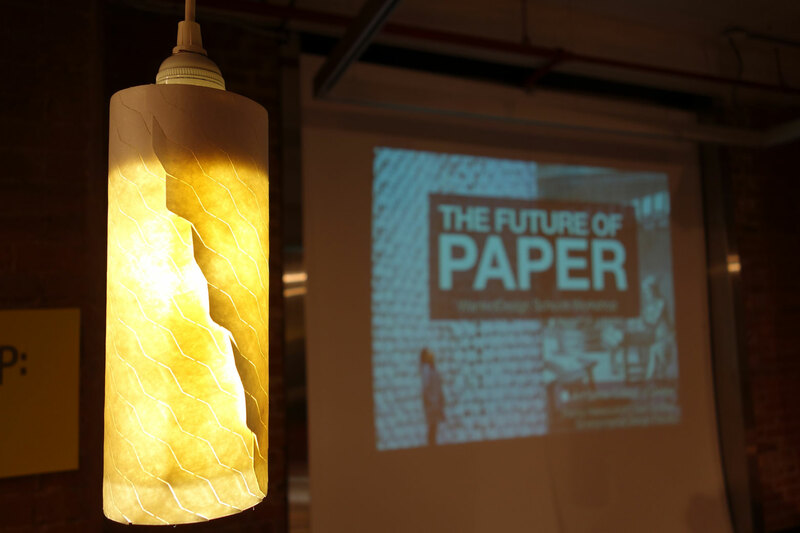 As jury member Stephanie Forsythe, Lead Designer and Director at Molo, told participants at the final presentations, The Future of Paper is a big phrase, and future is a big word. 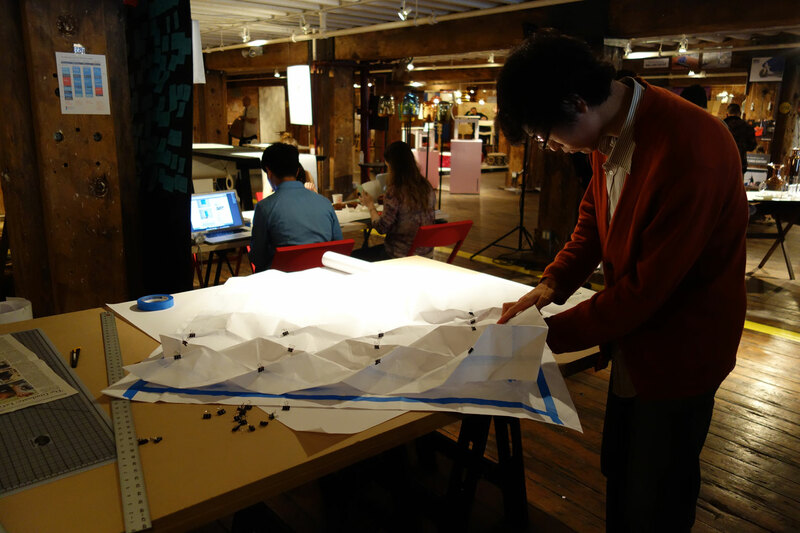 That’s why the work presented is considered the beginning of a process and not the final product; we’re looking forward to seeing these paper designs out in the natural world very soon.